In a squad where competition for places is among the most competitive of all European international teams, Thibaut Courtois has little to fear when it comes to starting for Belgium at Euro 2016. The Chelsea goalkeeper is, fitness permitting, a certainty to line up between the sticks for the Red Devils at this summer’s tournament in France, especially with his main rival for the position, Liverpool’s Simon Mignolet, having been heavily criticised this season. 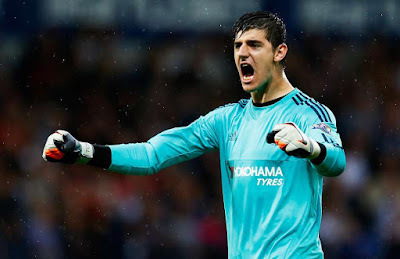 Courtois will be 24 by the time the European Championship kicks off and while places in Belgium’s front four in particular will be hotly contested, particularly by a host of Premier League players including Eden Hazard, the Chelsea shot-stopper is unlikely to have any sleepless nights regarding his own involvement. And with Marc Wilmots’ side fancied by the bookmakers to reach the semi-finals at least, Courtois could well end up being one of the heroes as Belgium aim to emulate or even improve upon their appearance in the 1980 European Championship final, which they lost 2-1 to West Germany in Rome. As Eurotips.com reports, Belgium have been pooled in Group E with Italy, Sweden and the Republic of Ireland. And it is a mark of how far the 2014 World Cup quarter-finalists have developed in the last few years, thanks to the impressive quality of player they are producing, that they are favourites ahead of the Italians to finish top of the group table. Although the Swedes and the Irish will be no pushovers, there is no doubt in Courtois’ mind which opponents will provide the biggest test for the Belgians. “It is not the easiest draw but we have to deal with it,” said Courtois, who conceded only three goals in the eight qualifiers in which he played before having to sit out the last two due to injury. “Italy are always a difficult opponent and hopefully we will do well against them in our first match (on June 13) because they are the biggest competitor for group victory. “But Sweden, with Zlatan Ibrahimovic, will also be difficult and the Republic of Ireland always have a strong collective team who are maybe not the very best but are always difficult to beat at such a tournament. In Brazil two years ago, the Belgium arrived with a burgeoning reputation having evolved from being talked about as dangerous ‘dark horses’ to genuine contenders for glory, but they struggled to fulfil their potential as they kept grinding out victories just as the clock was ticking down. Not every player performed up to expectations in South America but Courtois could be happy with his form as he conceded only three goals in five matches and made a series of key saves against Russia, South Korea and the United States, whom Belgium beat in extra time to reach the last eight where they were edged out by eventual runners-up Argentina. Performances like those have established Courtois as one of the best goalkeepers in the world and having already won the Premier League and La Liga with Chelsea and Atletico Madrid, a Euro 2016 winner’s medal would be an ideal way to take his international career to the next level.